Remodeling & Restoration Services, Inc. – To provide excellent customer service and deliver rapid and superior disaster restoration services in times of emergency. In 1980 Michael Simmons opened Bullseye Remodeling & Restoration as a way to provide the Chicagoland area with a solid, high quality restoration service. 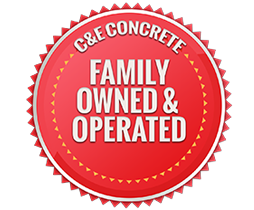 Over time, through a high level of customer satisfaction and building his business upon referrals, the organization grew to the high volume, well-recognized restoration company it is today. 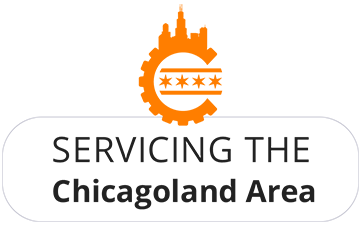 Many of the other restoration companies in the area are franchised owned, ran by owners or managers with limited experience of the restoration and cleaning industry. To properly restore a property, it takes experience and expertise that only 37 years of being in the business will bring. When damage strikes your property, there is not a moment to lose. 37 years ago, Owner Michael Simmons founded Bullseye Cleaning and Restoration with the intention of providing impeccable customer service to his clients. Today, he has built a strong and vibrant company based upon satisfied customers, excellent customer service, and prompt response. There are many restoration companies out there, but it is very hard to find one who will put in the time and attention necessary to get the job done correctly. Servicing the Chicagoland area, we proudly cover the cities of Burr Ridge, Hinsdale, Willowbrook, Clarendon Hills, Darien, Lemont, Oak Brook, Downers Grove, Lombard, Lisle, Naperville, Bolingbrook, Romeoville, LaGrange, Western Springs, Riverside, North Riverside, Forest Park, Wheaton. At Bullseye Remodeling & Restoration, we take pride in our work, provide a full staff of highly trained professionals and have been family owned and operated for over 37 years. We have what it takes to restore and clean your property. 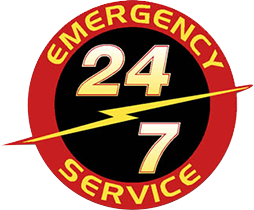 Available 24 hours a day, 7 days a week, Bullseye Restoration & Cleaning is fully equipped with dispatchers who are ready to take your call. No one can ever predict an emergency, and 90% of problems occur after normal business hours. We have built our company to be fully equipped to handle your call no matter what time of day. At Bullseye Cleaning & Restoration we take pride in keeping our staff trained on the latest technologies. This includes staying active with industry organizations as well as keeping up-to-date on our certifications. We believe it is important to send only the most qualified and trained project managers and technicians to your property. This way we can get the job done correctly within the shortest amount of time possible. We look at the investment in our workforce as an investment in our community. The better trained we are to handle all types of cleaning and restoration scenarios allows us to better service our community. Offering a full breadth of services for both residential and commercial, we can take on any type of cleaning and restoration project. Whether you are looking for routine cleaning at your office building or restoring drywall from massive water damage, we can provide the service you need. If unexpected damage occurs to your property, either through a storm, fire or accidental water damage, Bullseye Cleaning and Restoration can work with your insurance company. In fact over the past three decades we have worked hard to build positive relationships with the surrounding insurance companies and agents. 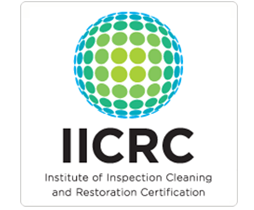 Since we are fully certified by the IICRC (Institute of Inspection Cleaning & Restoration ) we understand the proper paperwork to provide in order to help facilitate your claim. This paperwork includes but is not limited to moisture readings, daily progress reports and a detailed list of equipment in each of the affected areas. The last thing you need is a claim help up on the account of the restoration company. Instead of leaving your claim dollars in the hands of an inexperienced contractor, reach out us instead. When damage strikes your property, make sure you choose a restoration professional that has the experienced required to accurately execute the job. With over 37 years of experience, we have serviced thousands of customers and have the experience necessary regardless the size of your project. Working with both commercial and residential properties has kept us up-to-date on the latest cleaning and restoration technologies, building codes and insurance company requirements. Servicing the Chicagoland area, we proudly cover the cities of Burr Ridge, Hinsdale, Willowbrook, Clarendon Hills, Darien, Lemont, Oak Brook, Downers Grove, Lombard, Lisle, Naperville, Bolingbrook, Romeoville, LaGrange, Western Springs, Riverside, North Riverside, Forest Park, Wheaton.